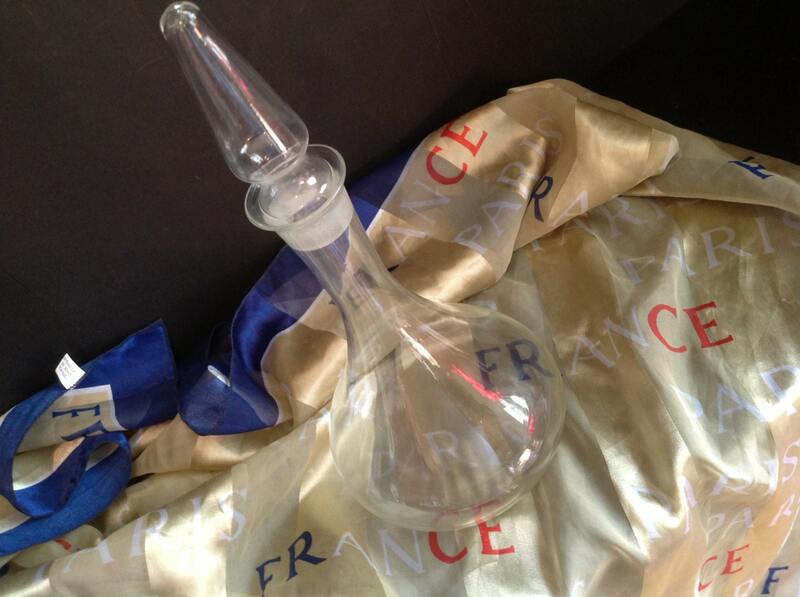 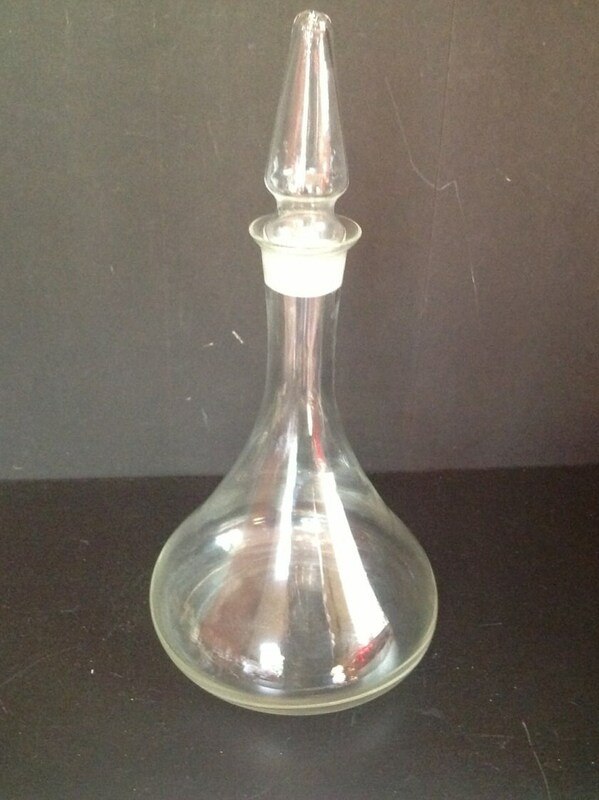 Offered is a vintage decanter. 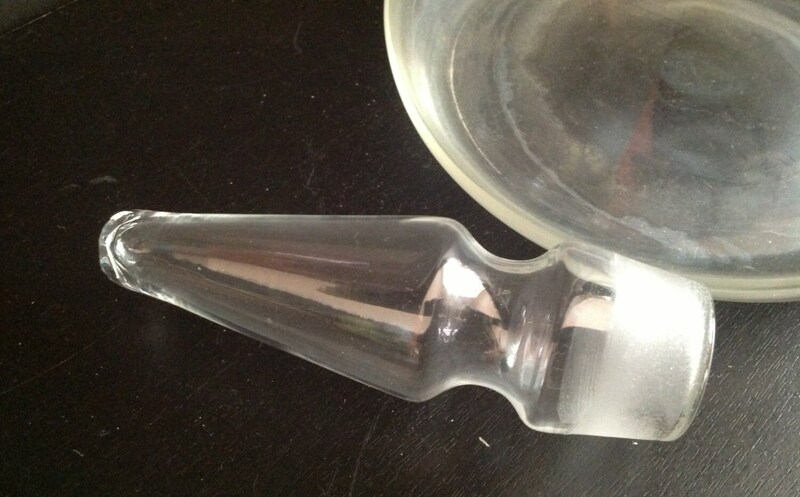 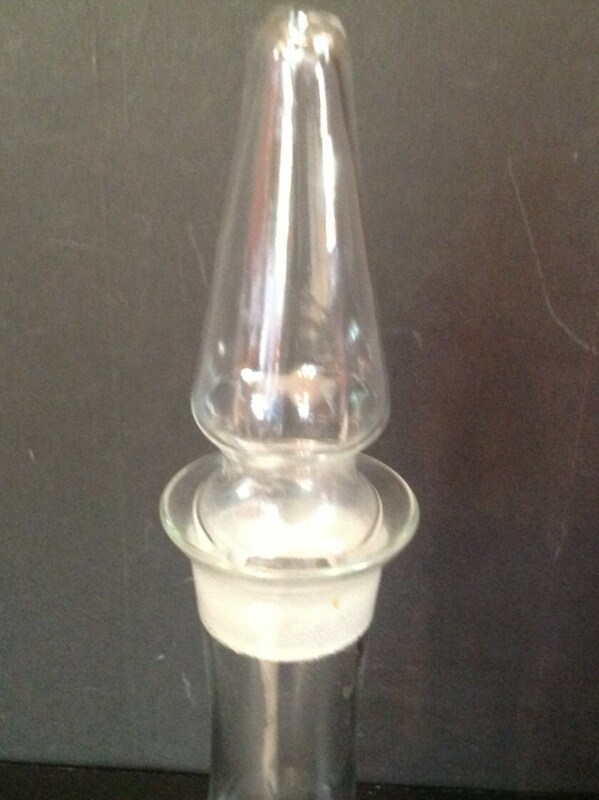 It is made of clear glass with a clear glass stopper. 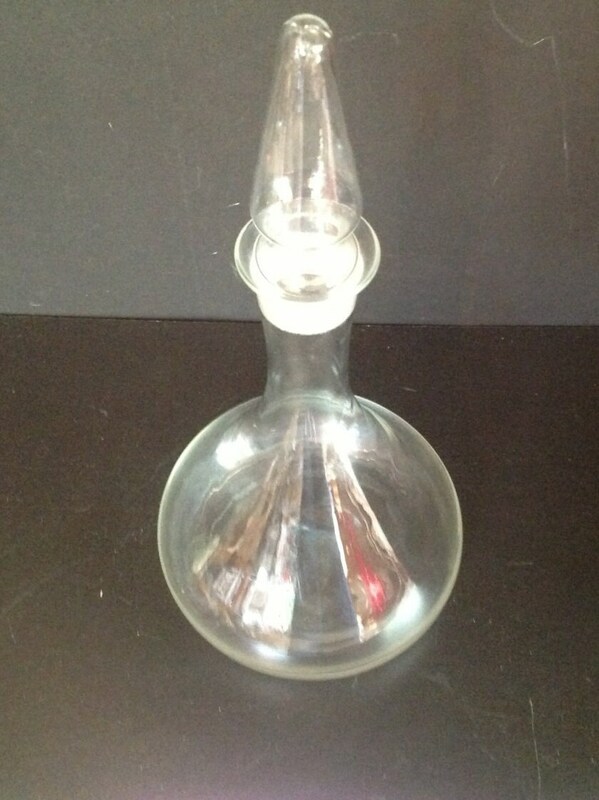 The design is simple but beautiful and would be pretty on your bar.